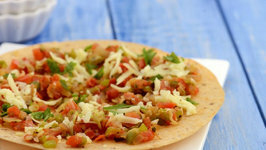 Iron-rich jowar and bajra flours replace maida in these healthy pizza bases, which are then topped with a traditional tomato-based sauce. 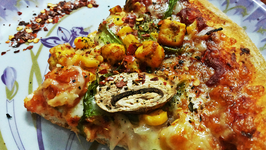 India meets Italy in this unique Tandoori Paneer Pizza! 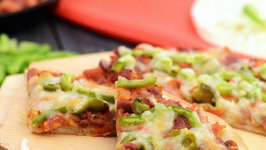 An assortment of veggies is first soaked in a richly flavoured marinade, and then sautéed to intensify the ..
A scrumptious pizza with crunchy capsicum and juicy jalapenos, a spicy bean topping and loads of cheese. Khakhras are a much healthier alternative to fried puris and team well with this scrumptious vegetable stir-fry. 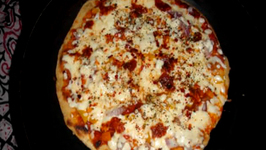 If you are planning a pizza party for the weekend, then this is the perfect pizza for your guest. Serve along with some fresh fruit juice or any soft drink of their choice. You have an oven in your kitchen, and it is remaining unused for many days - then this is the right time to use it to make a delightful cheesy pizza. 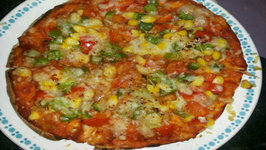 This delicious homemade pizza is healthy and easy to make. For those who want to keep it simple, I would suggest buying the pizza base, else you can make your own pizza base. 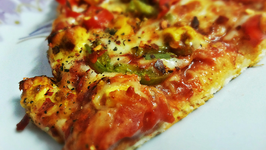 This video is to show how quick you can make pizza on stove top. 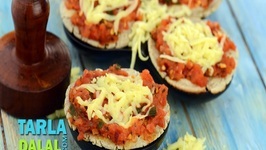 If you want to make pizza for just 2-4 people, and don't want to go through the whole process of oven .. Chef Tom Mamma Mia part 2 of 4 Chickens that have been brined in Pizza Beer. Indian Spices are used to make this a very aromatic tasty dish. 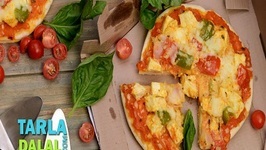 This is Pizza with a homely touch and yes Indian touch. It is very easy to prepare and you do not need any special effort to make it. It is affordable and you can eat it everyday.